When we first moved out to our property, we bought an RV to live in (Check out our DIY- RV remodel). We put down money on a bare piece of land, five acres to be exact. A drilled well came with the property, but no pump or wiring. The property was treed pretty heavily, mostly small trees, because of a fire going thru thirty years prior. We also had no electricity or septic to the property. All things we had to do ourselves if we wanted this homestead to be our home. 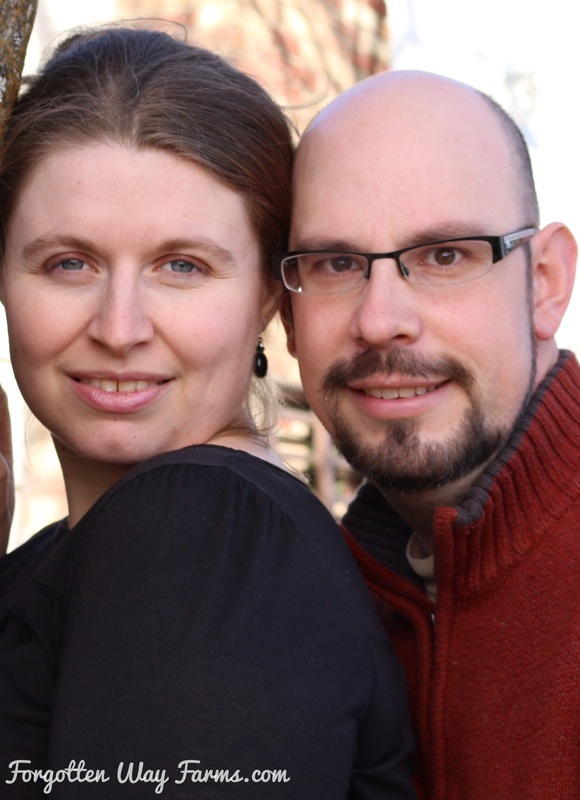 We had never heard of Homestead Finances or thought of having a budget for our new lifestyle (we had always just done everything from the seat of our pants). Not, a good idea! When I look back, we went into this homesteading with blind faith. Daniel had no job to speak of, and we spent almost all of our money on the RV and the down payment on the land. Our land payment was equivalent to apartment rent. 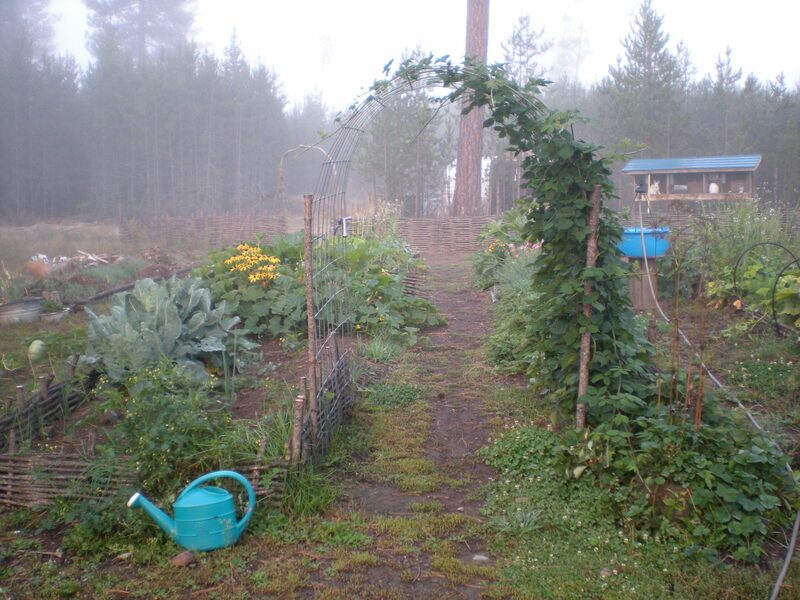 The next few years we dumped all our extra money into our property, buying a pump for the well and a generator to run the pump, gardens & perennial plants, outbuildings, and our 1280sq foot house. 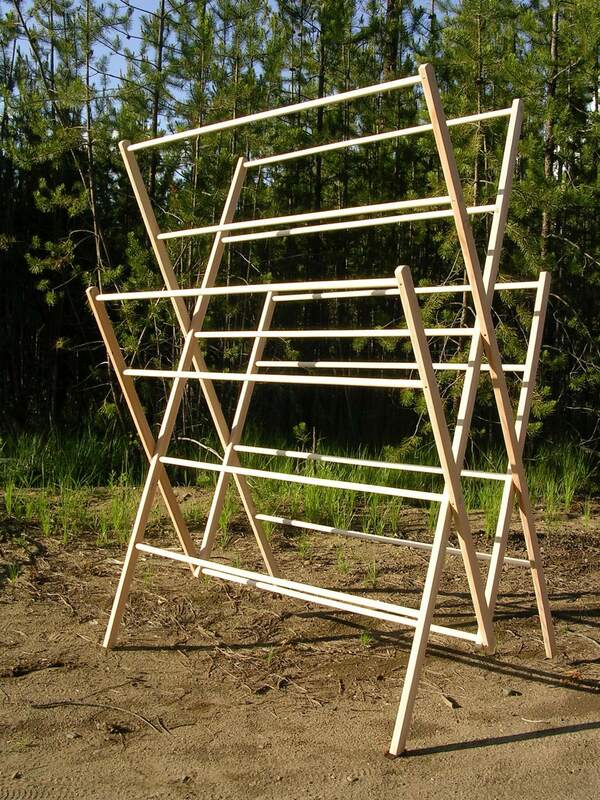 Daniel worked odd jobs; we started our own business Homestead DryingRacks (Which we later sold. An amazing family in Southern Idaho now build them!). Daniel landed a full-time job after two years on the homestead, which had some benefits we felt were good for the time being. After recapping some of the basics of our story, I want to tell you what we learned about homestead finances. I’m glad we made the plunge to homestead, we weren’t as financially prepared as we should have been, but I guess that’s how we learned all of these lessons for Homestead Finances in the first place. Because we were low on money, and always reinvested back what we did earn into our property. Some of the first things we learned out there were: Frugality and Ingenuity. It helped us make it during the lean times. We cooked everything from scratch and ate very simple. What I lovingly refer to as eating like a peasant. It was the beginning of the real food movement for me which led to better overall health for our whole family. We bought only second hand (thrift stores, traded, yard sales, etc.) Like the adage says; use it up, wear it out, make it do or do without. I’m not saying this was easy or came naturally. It was quite the learning process, but you know, we were so excited about our journey of Homestead Finances, and we threw ourselves into it. When you are low on the money, this comes in handy. We learned to use the resources on our land, which turned out to be a real asset. Our small trees became wattle fencing, and the larger trees we used to frame our outbuildings. We regularly gleaned building supplies and food from our land. When we needed to dry our clothes, we designed a fantastic drying rack that became the largest drying rack on the market and sturdy to boot. A lot of homesteaders become inventors in their own right because they find a need that isn’t fulfilled. My great Grandfather was a genius farmer for his time, he thought outside the box. He also used old forgotten ways to do things and had more ingenuity than anyone I know. My great Grandparents made it thru the Great Depression very well and didn’t lose their farm. In this amazing process, we also learned, what some of you might already know. 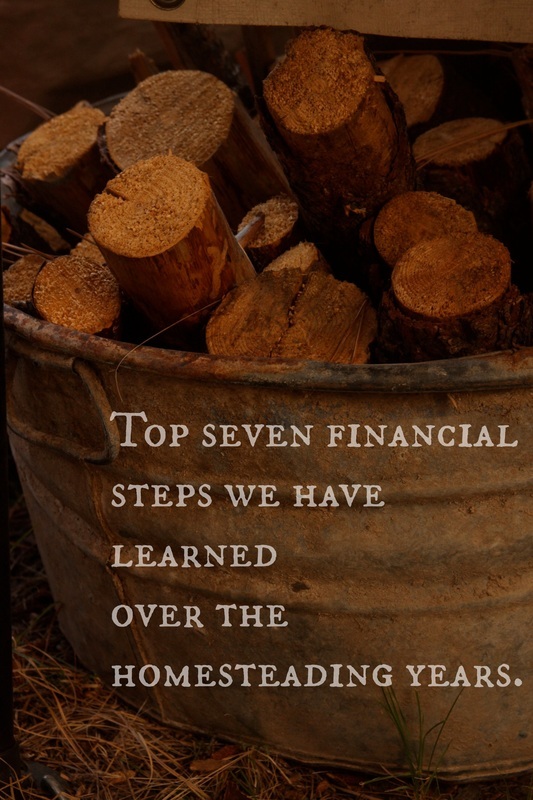 Here are the top seven financial steps we have learned over the homesteading years. this late in the game. But we learned it nonetheless. 3. Build up backup savings. It will keep you out of debt, once you get there. 4. Stay on a budget. Sounds simple, right? Using cash envelopes earmarked for all our expenses always helped us stay on budget. 5. Learn to live below your means, and get excited about it. It can be fun, and less is best! 6. 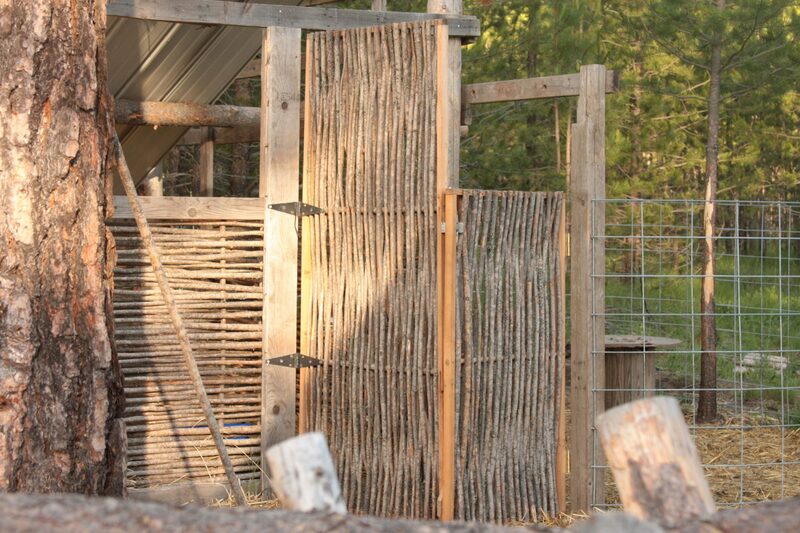 Build up your homestead with cash, no matter the temptation. 7. Animals can be very expensive, calculate the costs first. Chickens, goats, and pigs are my first choice for the beginner homesteader. Offset the expenses of feed by fermenting grains, feeding surplus milk and scraps, and don’t forget foraging and bartering. There are natural care options for animals, which can save money too! 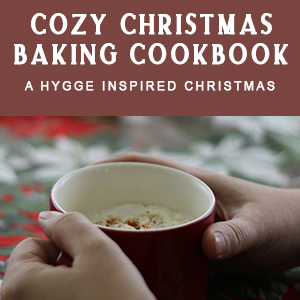 My blogger friend Jill has a fantastic e-book here. Check it out! Going back to Ingenuity, with these steps you might think you still can’t see a homestead or farm in the future. Well, you might have to make some sacrifices, maybe rent, or move an RV onto some family’s land for cheap rent and save, save, and save. And while you’re doing that, learn as much homestead skills as you can. I really believe steady does it! 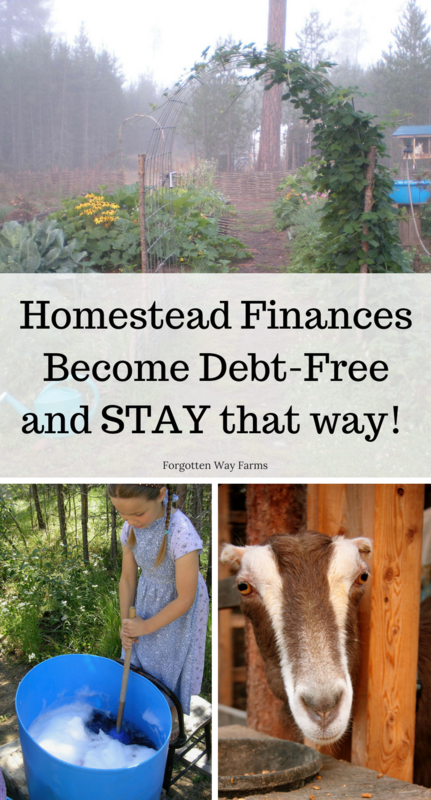 What lessons pertaining to Homestead Finances can you share? Loved your post, it echo’s my own experience many years ago. The only difference being my farm did have a house though barely habitable and we had emigrated to Ireland. Sadly my husband didn’t stay the course but I carried on. Financially I am in the black, no debt and a small windfall would be very welcome, I am never going to be rich in money. On the plus side I am happy and very content with my life, I have a wealth experience that gets me through the tough times and the natural disasters and I would do it all again. My next challenge … To work smarter and not harder, ageing is taking its toll and I have to adapt. What exactly do you mean by “always pay yourself 10-20% of your income”?